For many people with celiac disease, finding good restaurants that cater to gluten-free consumers can be challenging. And traveling to far-off destinations with unknown gluten-free options can be even more difficult. One of the most important things your gluten-free clients can do before they saunter through Spain or set their sights on Denmark is thoroughly research venues that offer gluten-free options and explore travel companies that can meet their needs. As Begun explains, avoiding cross contamination when traveling is harder than when at home. Travelers eat many more meals prepared by others and may not have a familiarity or comfort level with a restaurant’s reputation for safely serving individuals with celiac disease. Travel resources, such as Bob & Ruth’s Gluten-Free Dining & Travel Club, are available to help individuals on gluten-free diets make their plans. Since 1998, Bob Levy and his wife have been globe-trotting with gluten-intolerant travelers, taking safaris in South Africa, mini getaways to the Caribbean, and fall foliage tours in Canada. Levy was diagnosed with celiac disease in 1995 and soon afterward began scheduling gluten-free dinners and getaways to a Caribbean resort with others facing the restrictions of gluten-free traveling. During these adventures, Levy worked closely with chefs and others within the hospitality industry to accommodate attendees’ gluten-free needs. He and his wife soon realized individuals with celiac disease needed an organization that could help them travel safely and enjoy life to the fullest. “We have slowly evolved through the years and now have 540 to 550 members,” Levy says. Members receive quarterly newsletters, kitchen-tested gluten-free recipes, various escorted gluten-free getaways, and access to workshops held throughout the United States and Canada. These four-hour workshops provide attendees with the tools and confidence to eat at restaurants, converse with chefs, and dine in familial, social, or business settings. They can also travel around the world with like-minded individuals and enjoy gluten-free travel experiences. While working with groups such as Bob & Ruth’s can be beneficial, some individuals following a gluten-free lifestyle may prefer to venture out on their own, either locally or abroad. For those individuals, Begun offers some great tips for tapping into reputable gluten-free resources. “When choosing a place to stay, research which hotels and resorts have a good reputation for servicing those with food allergies and intolerances,” Begun says. The GlutenFreeTravelSite (www.glutenfreetravelsite.com) provides hotel, resort, and restaurant reviews from those in the gluten-free community. 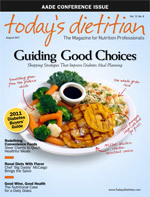 Other online resources for finding restaurants, cafés, bakeries, and grocery stores include www.allergyeats.com, a partner of the Gluten-Free Restaurant Awareness Program, and www.glutenfreeregistry.com. If your clients’ definition of vacation means not logging on to their computer, Triumph Dining’s books The Essential Gluten-Free Restaurant Guide and The Essential Gluten-Free Grocery Guide (www.triumphdining.com) list establishments by state—ones that are gluten free and others that include gluten-free items on their menus—and provide evaluations of each of these establishments. “Also, when traveling to a country where the people speak a different language, celiac patients should be sure to bring a set of dining cards that translates your gluten-free needs into the language of the country, such as those provided by Celiebo.com,” Begun says. The cards should clearly state what celiac disease is and the foods, ingredients, and food preparations affected individuals need to avoid. Within the past year or two, many chain restaurants, such as Ruby Tuesday and P.F. Chang’s, have added extensive gluten-free menus. “But it’s still best to dine at a slow time of day when the kitchen staff can be more attentive and to keep your eye on your plate to make sure that it stays gluten free,” Hartley says. • While it can take away from the spontaneity of travel, planning meals in advance of your trip can decrease the amount of time spent researching restaurants while away, leaving you more time to lounge by the pool or hit the streets. • If you’re on a longer trip or you travel frequently for business, consider booking a hotel room that has a kitchen. Purchasing and preparing your own food will ease your mind about the risk of cross contamination. Preparing your own meals also allows you to eat more healthfully and spend less money on food. If a room with a kitchen isn’t available, ask for a refrigerator so you can have both perishable and nonperishable foods that you know are gluten free. • If you’re traveling to a location in which you are unsure of what will be available to you, ship a box of gluten-free food staples ahead of time so it is there on your arrival. • You never know when you may get caught without access to gluten-free foods, so always carry gluten-free snacks with you to munch on during delays at the airport and other unexpected events.